In the smaller sets most of the existing models were kept although many had minor alterations to use the new/extra parts included in the 1954 outfits and to the show elongated holes in the flexible plates. In the larger outfits, because of the more significant contents changes, virtually all the models were new or had very significant redesigns. Click here for more details. The instructions for many of those models that continued were substantially rewritten. A new 00 Outfit was introduced in 1954. 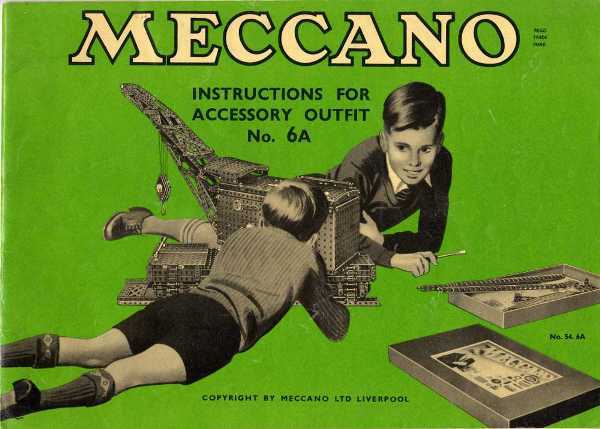 The 00 Outfit manual was then replaced in a different format in 1956 with many changes to the models. 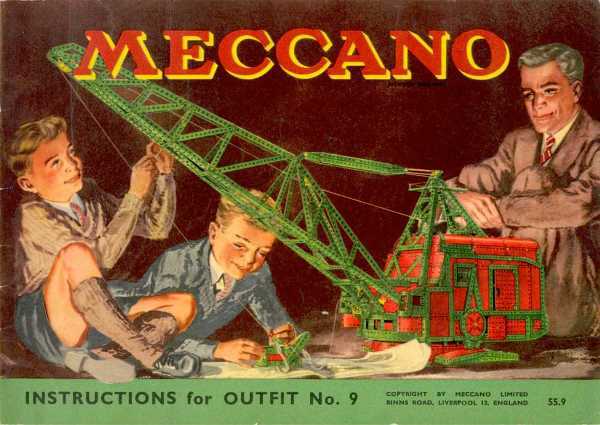 There were no changes to the outfit 0 - 10 models during the period. All models had a parts list. Errors were corrected in the model descriptions and parts lists in 1956, 1957 & 1958. In late 1960 the first of a series of nine 'More New Model Leaflets' was issued. 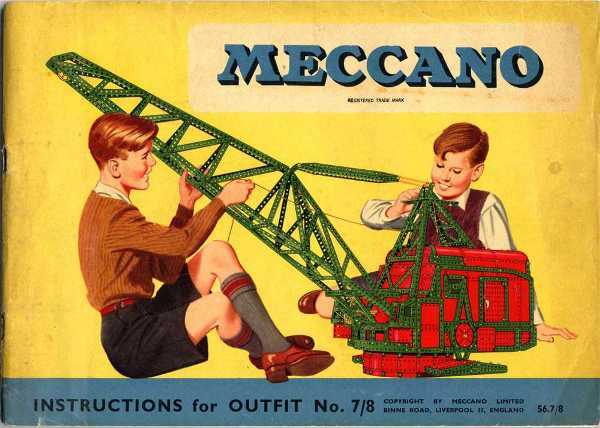 These small leaflets were supplied to members of the Meccano Guild, and other registered owners of Meccano outfits. Each one contained instructions for building two additional models. The series is interesting as the instructions were in the same exploded diagram format as used in the forthcoming 1962 series manuals. It is most likely that they were done as an excercise to test the proposed new method for the 1962 manuals. Althought this series continued through into 1962 (and beyond?) they are all considered under this era.